Are Electronic Devices Bad For Babies’ Brains? Apparently, Apple boss Steve Jobs didn’t let his own children have iPads. Maybe this was wise but there are few modern parents who follow his example and the most worrying aspect is in the very youngest children’s use of modern technology. Recently, I was in a local coffee shop. On a nearby table two mothers were trying to have a conversation. Two tiny tots were kicking off, and hey presto out came the iPhone and they were instantly quietened by Peppa Pig. They were probably just short of two years old. And this was clearly not a new experience. If the Darling family of Peter Pan fame had the family dog Nana as their children’s carer, is the modern-day version of iPhone or tablet less bizarre? And what are the pros and cons of pre-school children being pacified by or constantly plugged into technology? 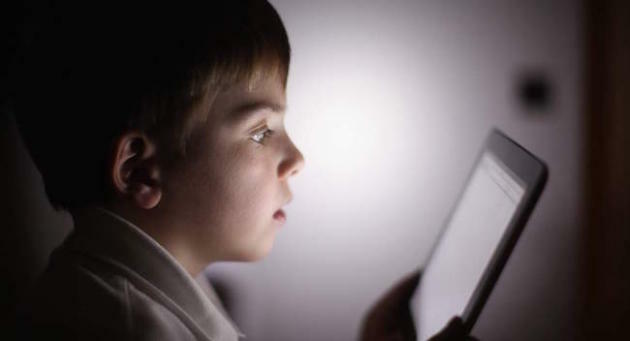 Several studies have linked delayed cognitive development and children’s extended exposure to electronic media. Others show that kids as young as two regularly play iPad games and have touch screen toys. Dr. Aric Sigman, an associate fellow of the British Psychological Society and a Fellow of Britain’s Royal Society of Medicine, believes that too much toddler touch screen time can permanently damage developing brains. “The ability to focus, to concentrate, to lend attention, to sense other people’s attitudes and communicate with them, to build a large vocabulary—all those abilities are harmed,” he says. Until the age of three children’s brains are developing and particularly sensitive to their environment. This ‘critical period’ means that any changes in the brain become the foundation on which all brain function is built. For the brain’s neural networks to develop during the critical period, a child needs stimuli from the environment. And these cannot be found on iPhones or tablet screens, only in the real world. The very attraction of technology, the stimuli at a child’s touch, the numerous simultaneous actions, could be harmful, permanently harmful, to young and developing brains. Children don’t need to listen, process, visualise, when tablets do their thinking and this affects their cognitive development. We know, however, that toddlers’ use of smartphones and tablets is now widespread. When Birbeck, the University of London, and King’s College, ran an online survey of UK parents 715 families responded and the results showed that the majority of their toddlers had daily exposure to touchscreen devices, increasing from 51.22% at six to 11 months to 92.05% at 19 to 36 months. So, with the iPad and other tablets as comfort blanket, and sometimes used as a bedtime pacifier, are modern tots sufficiently in touch with the real world? Bedtime stories sharpen the imagination, the cognitive skills, creative play is as vital to development as eating and sleeping. We cannot possibly know what the long-term neurological, social and emotional effects of technology will be on the very young but we do know that creative play helps toddlers to understand the world and provides the base for future academic learning as play involves adaptation, problem solving and curiosity. Just play boo with a baby and you’ll see their innate enjoyment of play, put a toy or shiny saucepan just out of their reach and they will strive to reach it, helping to develop social skills and co-ordination. The instant gratification of tablets and iPhones can replace the real world but can’t provide its developmental brain-building rewards, the challenges and cognitive effort a baby needs. But, say technology addicted parents, don’t tiny tots need to use technology to be au fait with modern technology in their future lives? Hardly, as you can bet that anything they play on now will be obsolete by the time they reach secondary school. Then what about fine motor skills, doesn’t using touch screens help? So far it’s unclear whether using touchscreens can enhance fine motor skills, or whether toddlers with fine motor skills are more likely to use touchscreens earlier. What we do know is that from peek-a-boo to hide and seek and from clap-hands to catching a ball, good old creative play will help build our toddlers’ confidence and emotional resilience, it will help them develop focused thought and an understanding of how the real world works. Maybe it’s not a case of a tablet that cures all ills, but for our toddlers a tablet that’s undermining their brain development.